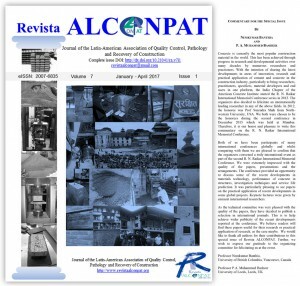 The buzz from the highly-successful 2nd R N Raikar Memorial international conference continues up till now as a selection of technical papers submitted by concrete stalwarts from 30 nations that attended the event are making their way into the prestigious International Journal of Alconpat Revista. Alconpat Revista – the premium technical magazine in Latin America reaching millions – is dedicated to the scientific and technical environment of the construction industry. 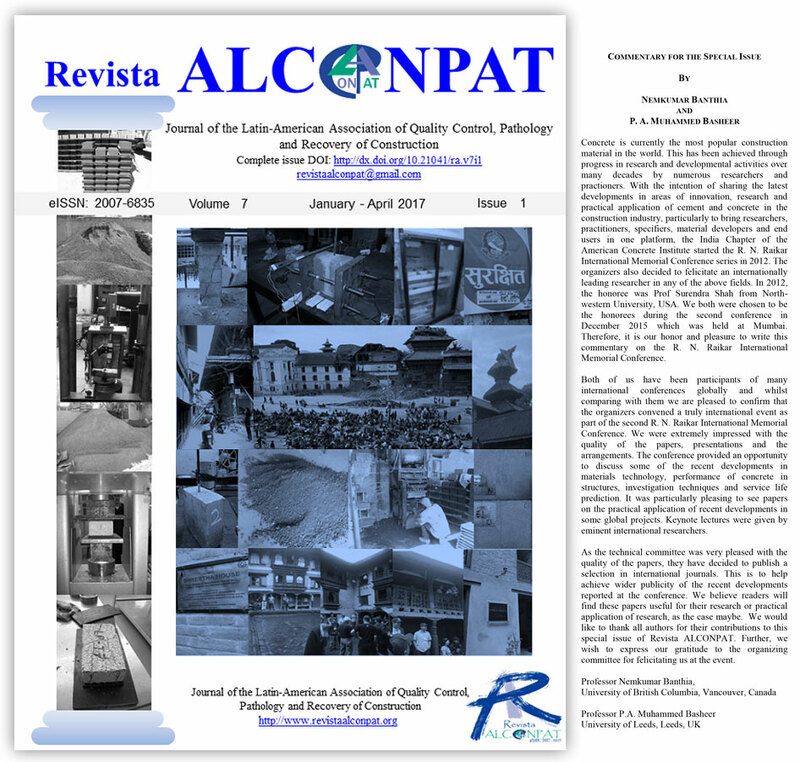 Published quarterly and in three languages – ​​English, Portuguese and Spanish – Alconpat Revista focusses on research and case studies related to quality control, pathology and restoration of buildings. It is a matter of honour that this much-admired and respected publication with a rigorous evaluation process has published papers from the 2nd R N Raikar conference in its January-April 2017 edition. For Alconpat Revista, each manuscript or paper submission underwent a process of peer evaluation by a scientific committee and anonymous reviewers in a double-blind process, in which the authors are unaware of the evaluators and vice versa. The Indian Chapter of American Concrete Institute (ICACI), organiser of the highly-successful R N Raikar Conference series, itself follows a thorough and demanding evaluation system to ensure ‘the-best-of-the-best’ technical papers find a place of pride in their Conference Documents, before moving on to the next level of scrutiny for renowned international publications. Yet another distinguished publication – the international journal of Construction & Building Materials (UK) – has also agreed to publish select papers from the 2nd R N Raikar conference, and for this the process of evaluation is currently on. Inclusion of technical papers in such acclaimed international publications is a first-of-its-kind feature for a conference organised in India, and ICACI is endeavouring to repeat it for the forthcoming R N Raikar conference. The forthcoming conference will be held in Mumbai on 14th – 15th December 2018. Authors and presenters may email an abstract of their technical submissions to infoicaci@gmail.com on/before 1st July 2017.